One day, a man of God wrestled in prayer entreating the Lord to put an end to his trials and sorrows. To comfort him, the Lord Jesus took him to Heaven in a vision. There he was with Christ Jesus, watching the proceedings. Then he saw a soul coming to heaven. It was the soul of a woman. As soon as the Lord saw her approaching, He descended from His throne, embraced and kissed and received her saying, “My dear daughter! How much you have suffered in your earthly life! But you endured suffering patiently. You fought the good fight. Come! Enter into the joy of My Father.” The man of God who was watching this was thunderstruck. Jesus said, “My son, she underwent only agony in her earthly life! She was beaten and persecuted by her husband. But she never cursed Me, not even once. That is why I, Myself, received her.” A day will come when you too will experience such comfort in Heaven. My dear friend! This is your hope of glory. Troubles and trials are only temporary! Endure them patiently, wait for the Lord! Do not be distressed and agitated as to why God has not yet answered your prayers. Look up to Him under all circumstances. 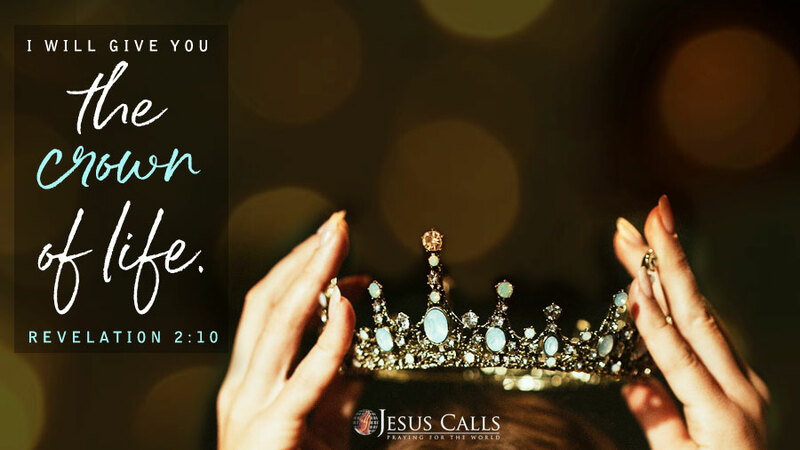 A day will come when we shall go to Heaven and Jesus Himself will come to receive you and will place the crown of life on your head. That day is a day of joy and a day of blessing.